Thanks to Pop In Stereo for delivering THIS bit of good news. Looks like Dan Black's NEW U.S. single will be...TAH DAH! "Alone." The song was originally released as a single in the UK back in 2008 and is now being released as Black launches his career as an international recording artist. According to Pop In Stereo, the single will be released in mid-August with a new video by Chic & Artistic (the genius behind Black's last video for "Symphonies"), a remix by the legendary MJ Cole and a B-Side called "Liz And Johnny." Black's last single, "Symphonies" peaked at #34 on the Billboard Alternative Songs chart. Make sure you check out the remixes from Dada Life, Chris Lake, Passion Pit and Gigi Barocco. I am excited to see Black open up for Kelis and Robyn on the All Hearts Tour next week, alongside Far East Movement. Should be a SPECTACLE of a show. 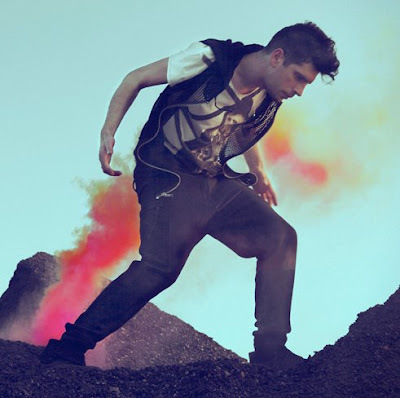 While we're waiting for this next single, check out Dan Black on tour if you can. Not much needs to be said that hasn't already been said. Check out this cool (yet violent and possibly seizure-inducing) video for the first single by Swedish House Mafia featuring Pharrell. The song is called "One (Your Name)" and it's a BANGER! 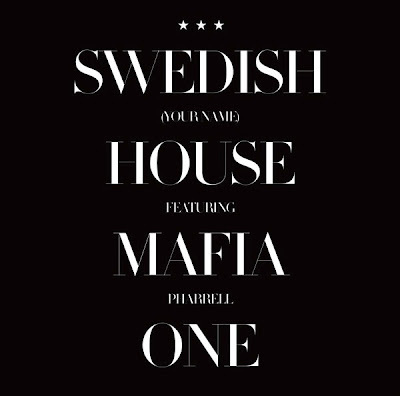 Swedish House Mafia are Axwell, Sebastian Ingrosso and Steve Angello. In a recent interview with Arjan (on ArjanWrites.com), Sky Ferreira talks about her first official U.S. single called "Obsession," and how it wasn't her idea to release it as a single. Sky doesn't mask the truth here when talking about how her record label wanted something more "pop" for her American radio unveiling. While being at the mercy of the record labels must be frustrating for a young artist, they do probably know best. As AMAZING as "One" is, it's better suited to the European market, a market that's always been more accepting of electro-pop. I hope the label goes ahead and releases "One" digitally here in the states. I don't think I can hold out until January 11th, when her debut album is released. Waiting till the New Year would be even more painful after WAWA whetted my appetite with their glittery masterpiece of a remix. Wait and see I guess. At only 18 years old, Sky seems to have a grasp on how the industry works - all facets of the industry. The ups, the downs...the positives and the negatives. In the interview she's candid about her feelings surrounding the release of "Obsession," admitting that while at first unhappy with the decision, she totally GETS that having to compromise comes with the territory. "Obsession...it might be my biggest song ever," says Ferreira. "It’s sad when I think of it that way though, cause I always wanted it to be my song that was the biggest, but I like it very much – it’s really catchy and everything." If "Obsession" is anywhere HALF as EPIC as "One," than I will be happy. I'm still a bit bummed to be honest. I COMPLETELY agree with The Prophet, talking about how international artists trying to break America often have to re-record, remix and re-jigger a song in order to make it "radio friendly" and therefore more "commercial." What I do like is how Sky seems to have had a lot of creative influence in the creation of her album and that while she's not making ALL of the decisions, she's really putting her own stamp on it. Hell - she was the one that reached out to Bloodshy & Avant and look what that got us? I definitely think that Sky Ferreira is a name we'll be hearing a lot more of in the coming years.